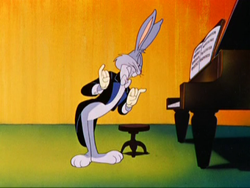 Only a year after Chuck Jones’ Bugs Bunny cartoon ‘Long-Haired Hare‘ the Hollywood Bowl is visited by cartoon characters again in ‘Tom and Jerry in The Hollywood Bowl’. 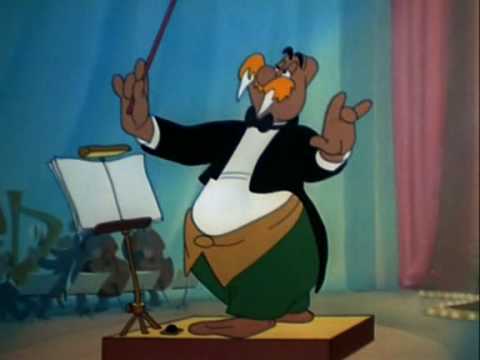 This short is Tom & Jerry’s second concert cartoon (the first being ‘The Cat Concerto‘ from 1947). This time Tom is a conductor, conducting an orchestra of cats in Johann Strauss Jr.’s overture to ‘Die Fledermaus’. 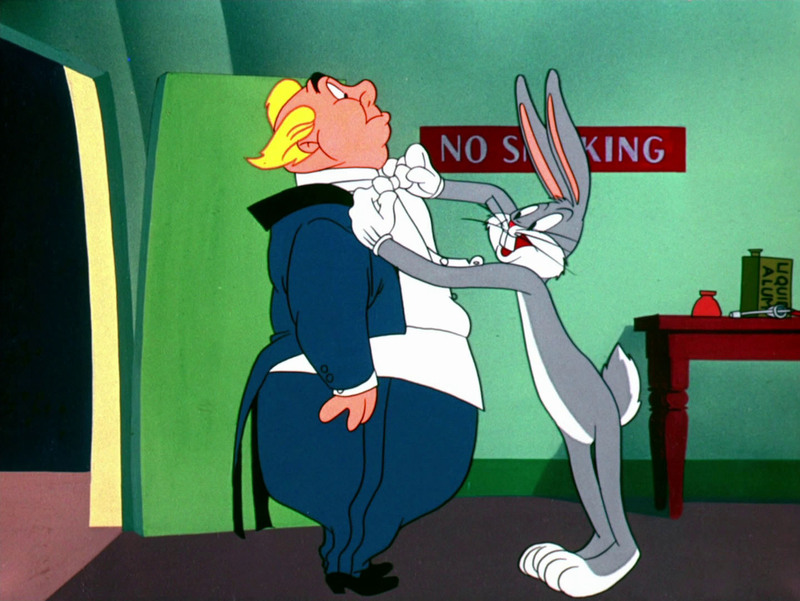 Jerry wants to conduct, too, but Tom doesn’t allow him. 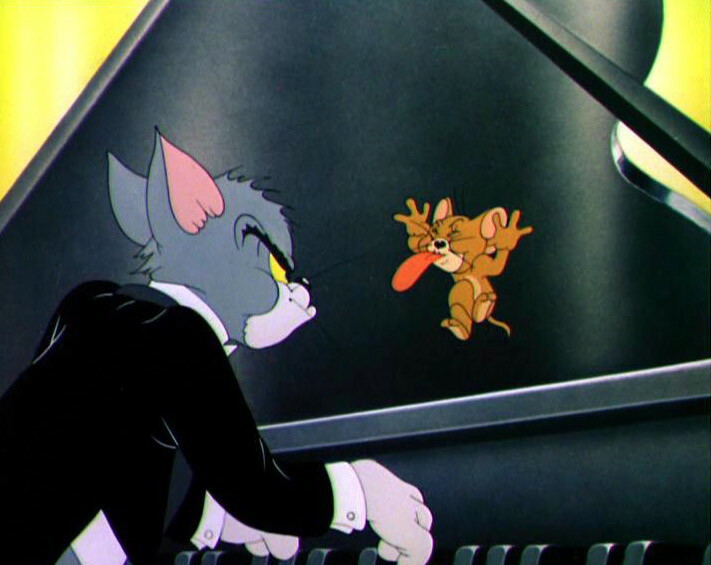 This leads to a battle between the two with a great finale in which Jerry makes the complete orchestra disappear, so Tom has to play all the instruments himself. Jerry, who conducts him shares the applause with an exhausted Tom, before the cat vanishes into a hole, too. 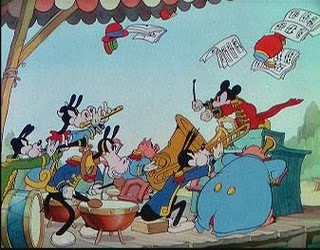 During the complete cartoon the feud between the two conductors is perfectly timed to the music. ‘Tom and Jerry in the Hollywood Bowl’ is not as good as ‘The Cat Concerto’, but still very funny. Its only drawback are the designs on Tom and Jerry, which both look poorer than usual, looking forward to the leaner designs of their later cartoons. Tom chases Jerry into an opera house, with remarkably unfunny results, making ‘Carmen Get It’ probably the worst of all concert cartoons. 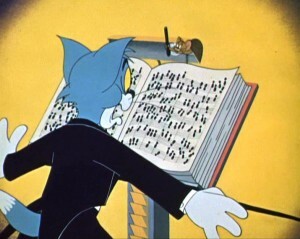 This is a sad irony, because Tom & Jerry are also responsible for one of the all time best: ‘The Cat Concerto‘ (1947). ‘Carmen get it’ was the last of the Gene Deitch Tom & Jerries, a poor and unfunny series of cartoons, which during their short existence never came even near the quality of the original ones by Hanna and Barbera. 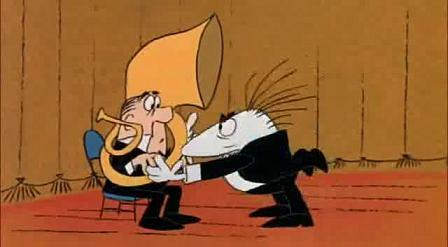 Gene Deitch had outlasted its welcome within one year and moved over to produce cartoons for Paramount, directing a.o. 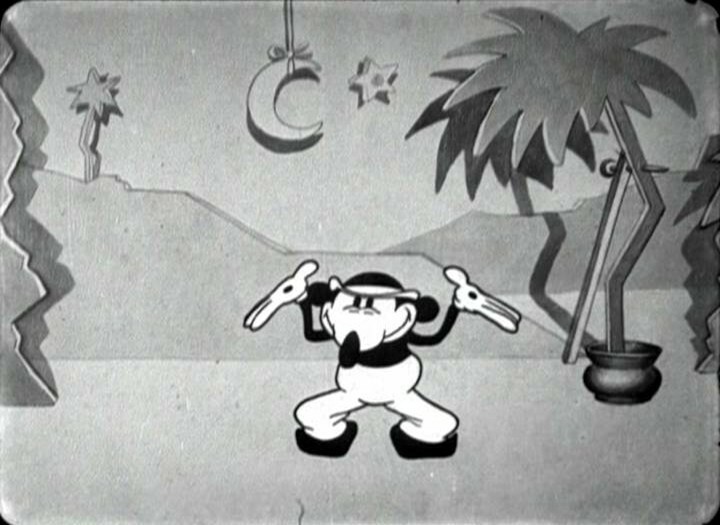 Popeye and Krazy Cat cartoons.